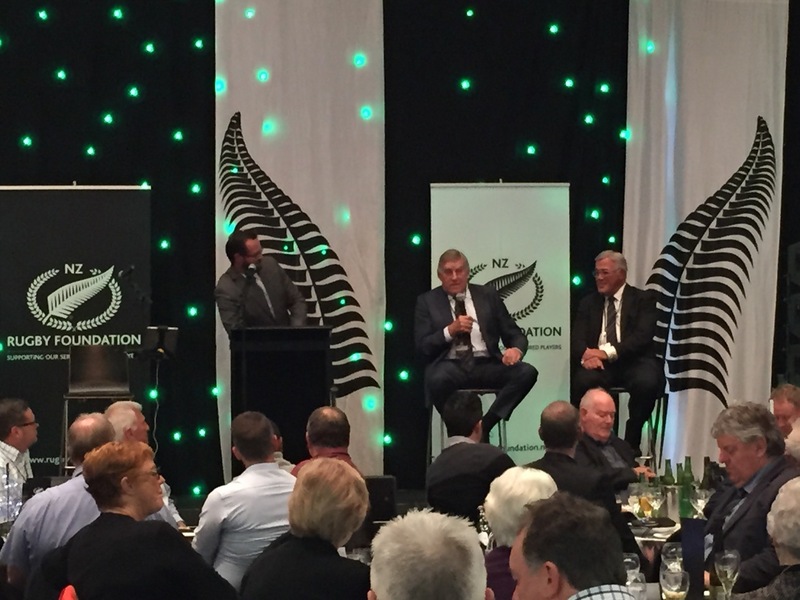 On behalf of their Patrons Richie McCaw and Sir Graham Henry and President Andy Leslie, the New Zealand Rugby Foundation invite you to join many of rugby's biggest names at this annual Official Pre-Test fundraising luncheon. MC James McOnie will be hosting an outstanding line up of talent, including a facinating and revealing keynote address from former World Anti-Doping Agency (WADA), Secretary General of 13 years, David Howman. The afternoon will also include the outstanding charity auction featuring money-can't-buy celebratory experiences and unique sporting memorabilia. With reduced capacity this year providing a more intimate environment, this is an exclusive opportunity to personally mix and mingle with rugby's stars and like-minded individuals in a locked down Eden Park the afternoon before a test match whilst enjoying the exceptional level of corporate hospitality again being provided by the Experience Group. This is one rugby hospitality event you do not want to miss. Enjoy a memorable afternoon a Eden Park and help the Foundation in this very worthwhile annual event by booking now for 2019. Personal host service in a rugby-themed environment. * Care - Improve quality of life for our VIP's (very injured players). * Sustain our Foundation through world class stewardship. – tables of 10 or smaller groups welcome.